More and more people now finding the organic vegetables and fruits a better option to keep the healthy and fit body. The organic vegetables are also a great way to get the essential nutrients for the body. 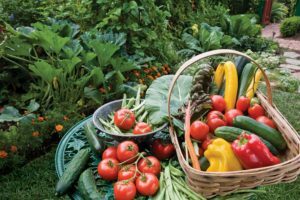 Thus many enthusiasts who want to prefer homegrown organic fruits and vegetables always wonder whether they really need any kind of fertilizers for their plants or not. Here it is important to understand that whether you are growing organic vegetables at home or any flowers fertilizers plays a vital role in giving your plants a much-needed nitrogen, potassium and phosphorous and other things which are essential for quality farming results. But in order to buy the top quality fertilizers for the organic gardening you have to pay a lot of money, but with the help of the homemade fertilizers, you can get the same results without paying anything or very less amount. It is advisable that when you are eyeing to grow organic vegetables in your garden then its best to use the organic fertilizers only for better and safer results. If you are not new to gardening then you are aware of the fact that in almost every fertilizer comes with three main things in it phosphorus, nitrogen, and potassium. But apart from that, your plants needs more to grow healthy and produce top quality vegetables. Here is a list of 10 best homemade organic fertilizers that you can use as the fertilizers for your organic garden. • Grass clippings: grass clippings are considered as one of the best fertilizers that you can use in your garden. It is the best source not only because it can be procured easily but it can also kill the weeds and also help the soil to maintain the moisture level as well. • Herbivore Manures: The manures of the herbivores animals like cow, horse, rabbits and chickens can be great fertilizers that you can get for free of cost. But never use the manures of animals like dogs, cats. The herbivores manures cost of straws, hay and other things which help them to compost fast and make a great fertilizer as well. • Fish and Seaweed Emulsions: The fish and seaweed can be another form of fertilizer that can do a lot of good for your organic gardening. it easily increases the nutrients capacity of the soil and thus the plants can get more vital nutrients for healthy growth. • Plant covers and mulches: This is one of the commonest forms of organic fertilizer that you can easily find in your garden only. Decompose them before use and get better crops without shelling out anything to buy fertilizer. • Epsom salts: From the Epsom salt you can get two important thing that your plants need most, magnesium and sulfur. • Vinegar: You can also use the plain white vinegar as the organic fertilizer for your garden. Apart from that, you can also use various other things as the fertilizer for your plants like used coffee grounds mixed with the dry straw or leaves, tea compost and so on.